The web pre-order Nendoroid from Wonderful Hobby Life for You! 15 (a.k.a last Winter WonFes) are previously scheduled for June release, and then got delayed to July 4th. 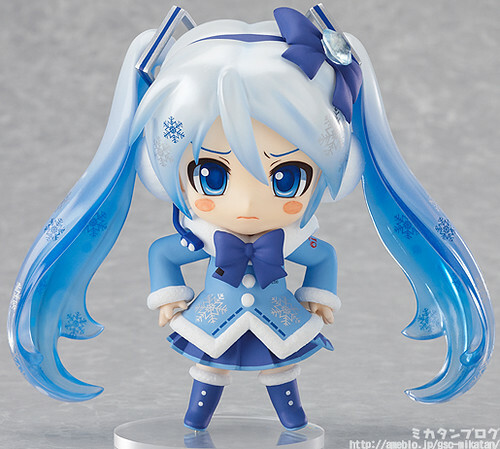 This entry was posted in News and tagged fluffy coat, hatsune miku, homura akemi, nendoroid, puella magi madoka magica, snow miku, whl4u, wonfes. I agree as well. If its for quality assurance, then by all means they can take their time. I think now isn’t the moment to improve the quality. Quality control takes MUCH longer then this. It’s not about QC they must be having issues with something else. Hah, that’s funny! I must have ordered really early compared to everyone else because I received the “Won’t ship until July 4th” email but…I definitely received my Homura on June 30th! Super Lucky!